If you wish to copy and paste something in your site design there are a few options. For items such as text, images, icons, and simple shapes you will want to select the element layer on the canvas, click the three dots and choose duplicate. You can then drag that element to a new canvas in the left sidebar if you wish to put it on a canvas other than the one it was duplicated on. 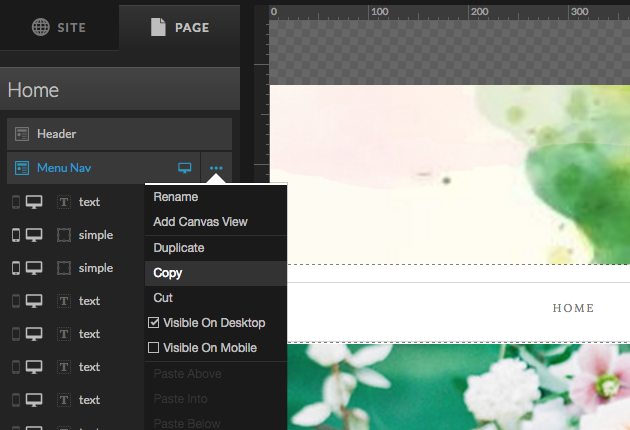 You can also copy and paste canvasses from one page to another in your design. 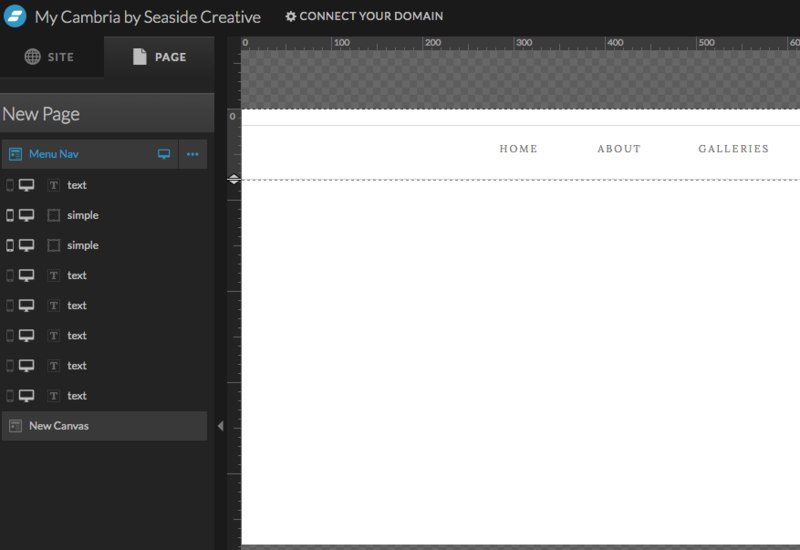 In this example we show you to to add the menu canvas from the home page, to a new page in your site. 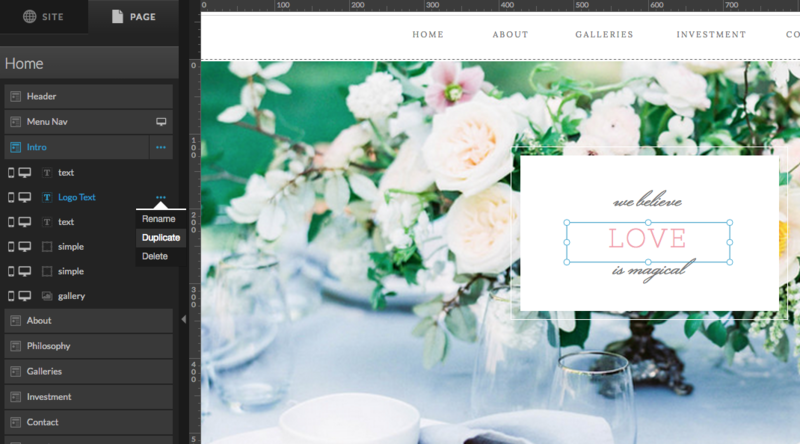 You can also check out our site canvas feature for this function. First click to select the canvas you wish to copy, click the three dots to the right of the canvas, and then choose copy from the menu. Next, go to the page you wish to paste the canvas to in the site tab, then click to the page tab once you have the page selected. 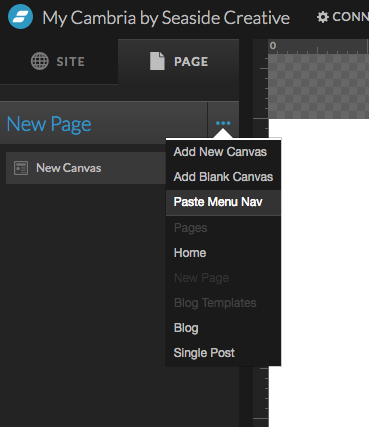 Click the three dots to the right of the page you wish to paste your canvas into and choose paste. The canvas will be added to the bottom of the page, so to reorder it, simply drag the canvas where you wish it to appear in the left sidebar. 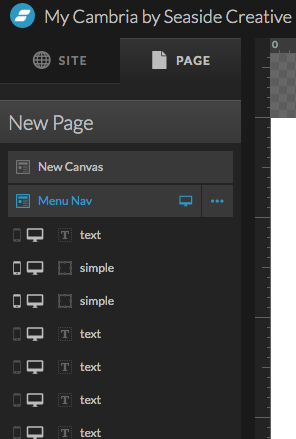 In the example below you will see the menu nav is under the new canvas when first added, then we drag it to the top to position it above the new canvas on the page. There you have it, now you are a copy and paste pro in Showit!